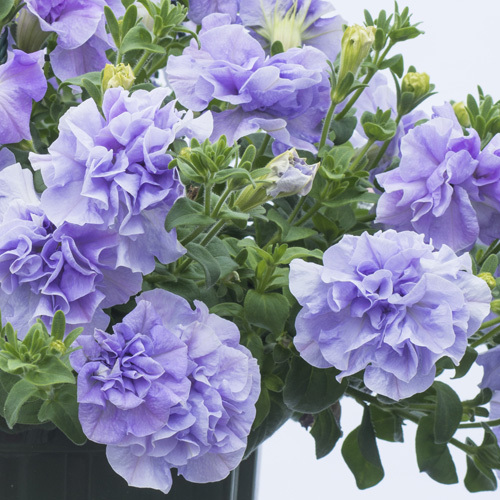 These petunias have fully double flowers. 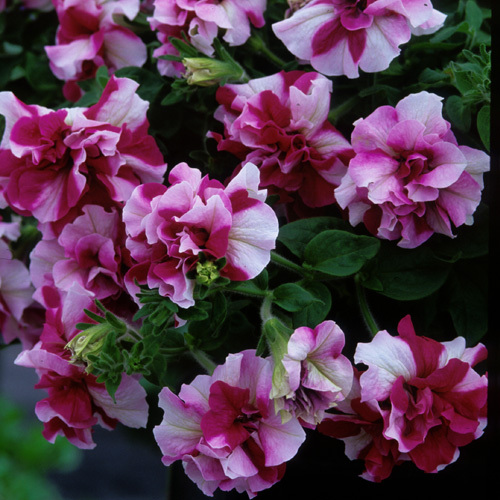 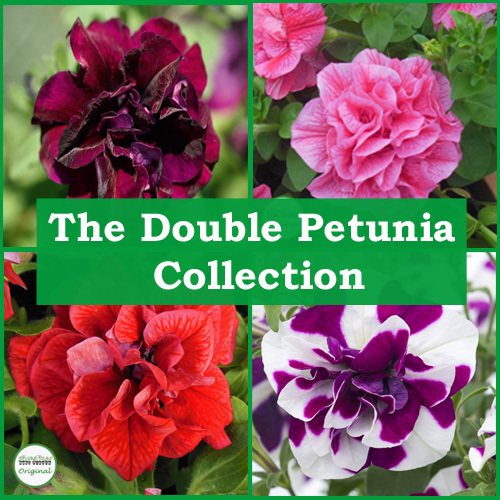 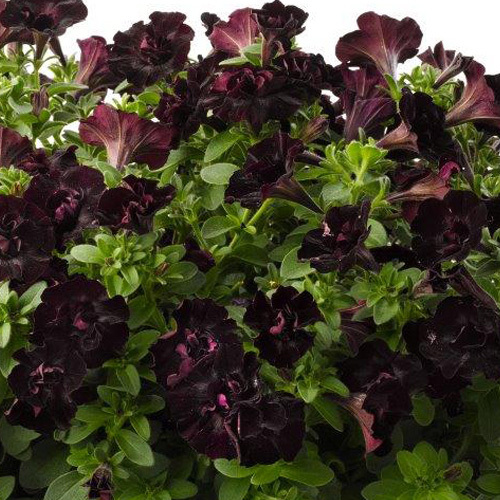 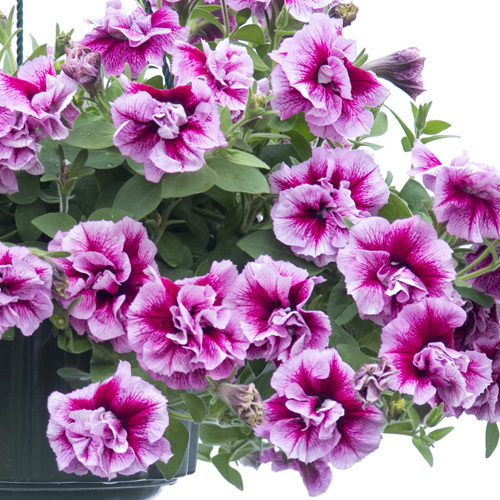 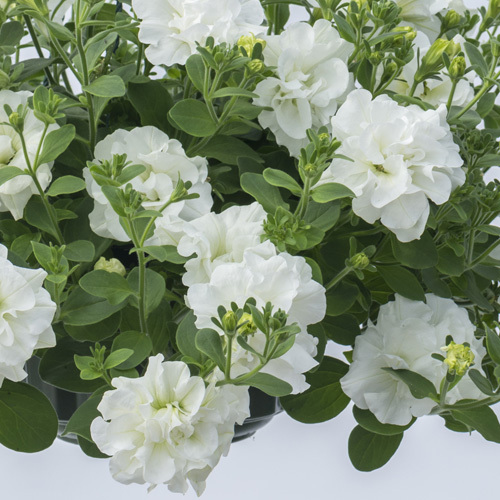 Double petunias make lovely displays in hanging baskets. 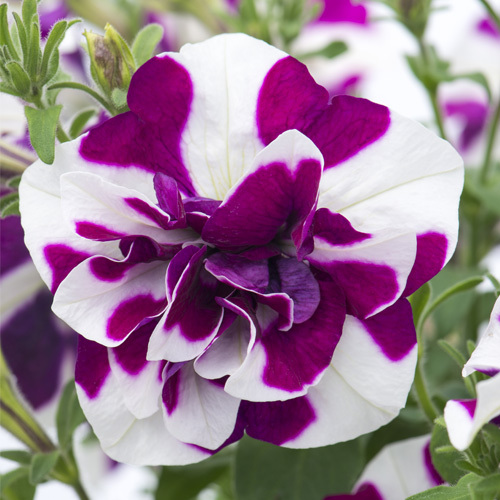 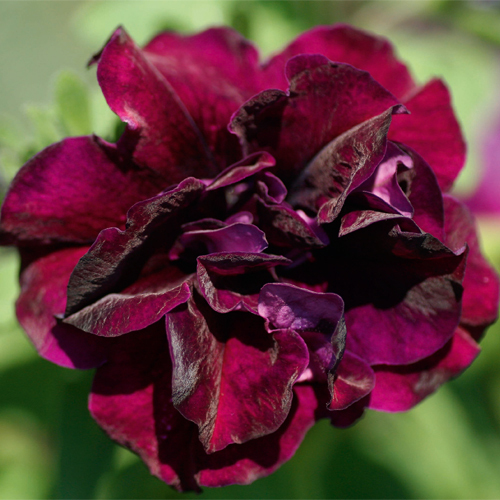 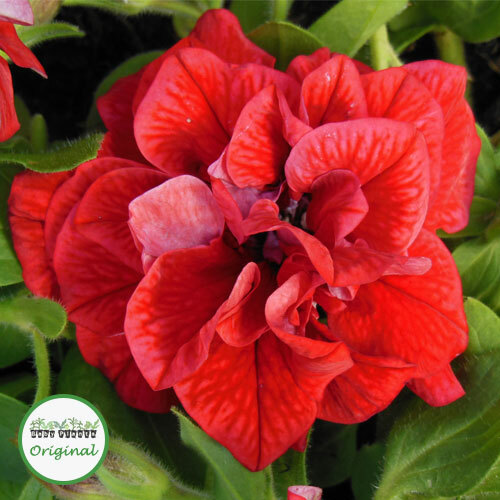 We think they look great planted in baskets of single colours.